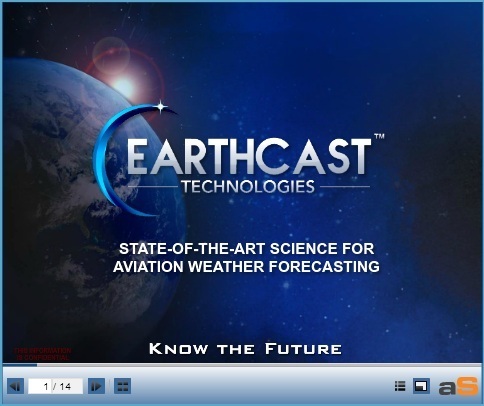 Click on the images below to access EarthCast Videos, Products, Advanced Aviation Solutions and our Aviation Presentations. 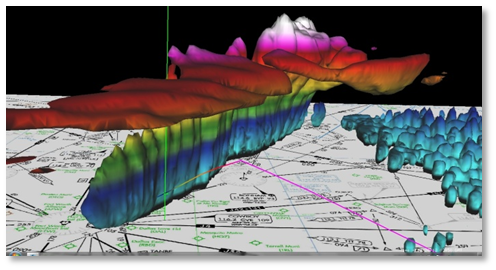 Each highlight only a few of the groundbreaking products that are available from EarthCast Technologies. Let us know how we can customize a solution for you. 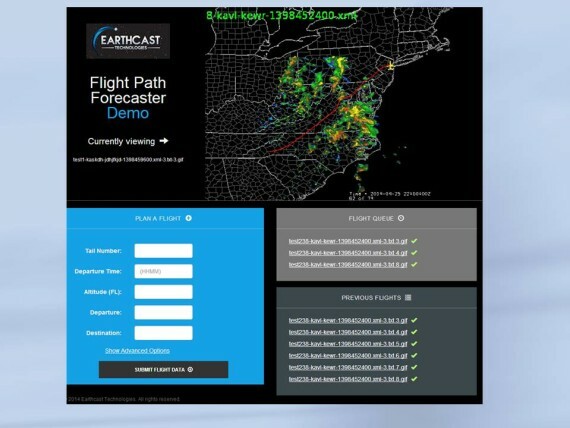 EarthCast Technologies has developed the ultimate solution for flight planning. We generate customized movies that highlight predicted hazards along the track of a flight plan. Your custom movie animates over the entire period of your flight plan alerting you to potential future hazards of all kinds. Clouds, winds, temperatures, icing, convection, the jet stream and even clear air turbulence are accurately predicted and clearly visible in three dimensions for the entire planned flight period. Click on the image to the right to see more. EarthCast Technologies processes satellite observations from around the globe and uses the data in our advanced prediction technologies to generate highly precise future conditions. Our predictions are so detailed and precise that we generate visual images of specific aviation hazards. We pride ourselves on creating customized products to serve the unique needs of our customers. See examples of our current products and imagine what products we can develop for you. EarthCast Technologies innovative global monitoring and prediction products provide unparalleled situational awareness in the most remote locations on the planet. We customize solutions to meet the unique needs of your operations. What solutions are important to you? We have compiled several presentations highlighting the services and solutions EarthCast Technologies can provide.